← Dutch Dog Design Outdoors & Lifestyle catalog, hot off the presses! Time flies when we’re keeping busy! Recently, in May, Dutch Dog Design owner and designer, Matthys van Leeuwen attended the Interzoo trade show in Nuremberg, Germany with a colleague from our Netherlands office. This trade show was a great way for half of our team to interact and form new relationships with the international pet product buying community, as well as receive feedback on new products and changes which are waiting for début. Dutch Dog Design products galore. 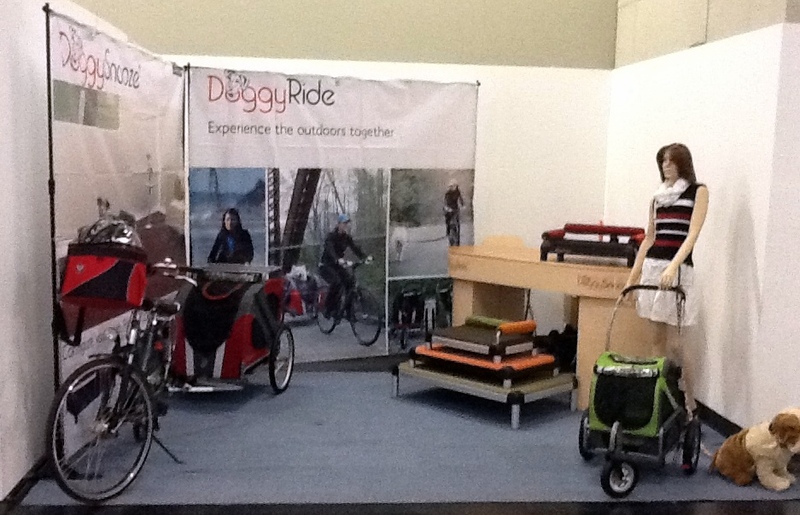 Including dog bike trailers, strollers, elevated dog beds and eco-friendly dog leashes and collars. Overall, this is a great experience in which all of us at Dutch Dog Design learned a lot about the community who uses our products as well as better serving our customers and innovating for the future. We’re always willing to listen and love to hear what you’ve got to share. Your insights are important. They help us make even better products in the future. More recently and locally in Monroe, WA, we attended Seattle Pug Rescue’s Pug Gala 2012. It was pug-errific! It was so great to see so much pug passion in one room! 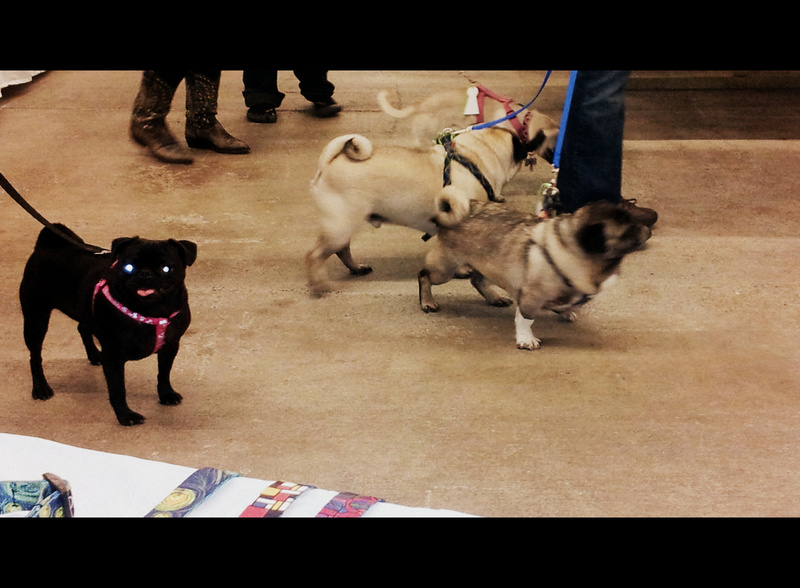 We enjoyed watching the Pug Parade, the Pug Races and meeting many cute visitors. It was great to chat with some many pug-loving visitors and learn about their pugs’ needs and how they could use our dog bike trailers, dog strollers, or other products such as our elevated dog beds and collars and leashes for further benefit. We learned that harnesses are much more popular than collars, given pug neck sizes in relation to head sizes. We don’t have harnesses yet, but hopefully, inspired by these precious pugs, we will have them available one day in the future. We met some pug-tastic friends at Pug Gala! Hello, lovelies! These are just a few things that have kept us busy and on our toes! Up next, in September, is Seattle Humane Society’s Walk for the Animals 2012. This entry was posted in Events and tagged Events, Interzoo, Seattle Humane Society, Seattle Pug Rescue. Bookmark the permalink.